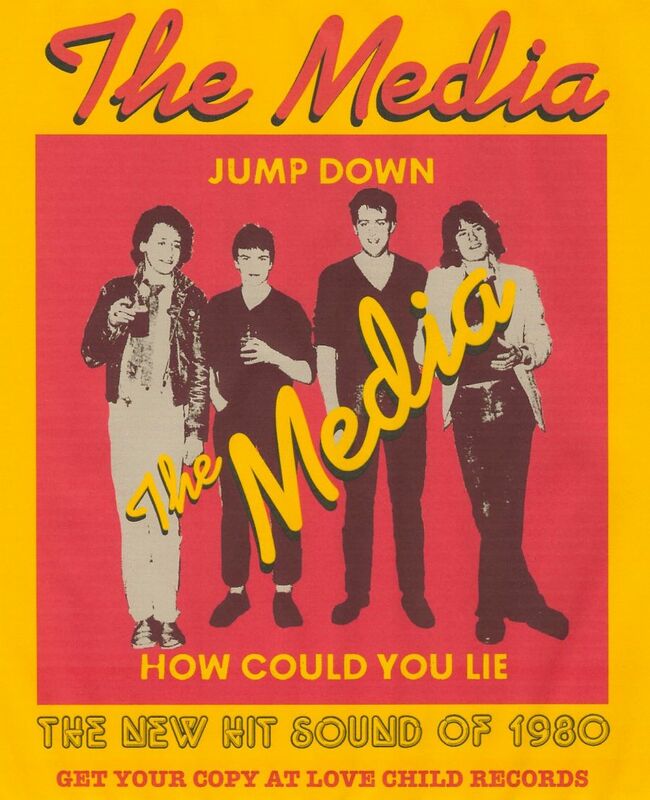 "Jump Down" / "How Could You Lie"
The Media were a Portsmouth band formed in 1978, influenced by the UK punk explosion of 1977. Martin Jacks (vocals), Brian Lee (drums) Pete Rossie (guitar) and Michael “Chello” Whichello (bass). In a short space of time back in the days of the punk rock explosion (and everything moved very quickly in the late 1970s) The Media played loads of shows, honed their 60s beat meets 70s street/seminal suburban songs, got a bit good, built a large following, released two singles and by 1980 were featured in an early Phil Redmond (the producer of Grange Hill, Brookside, Hollyoaks, etc.) youth TV series Going Out. What could possibly go wrong? 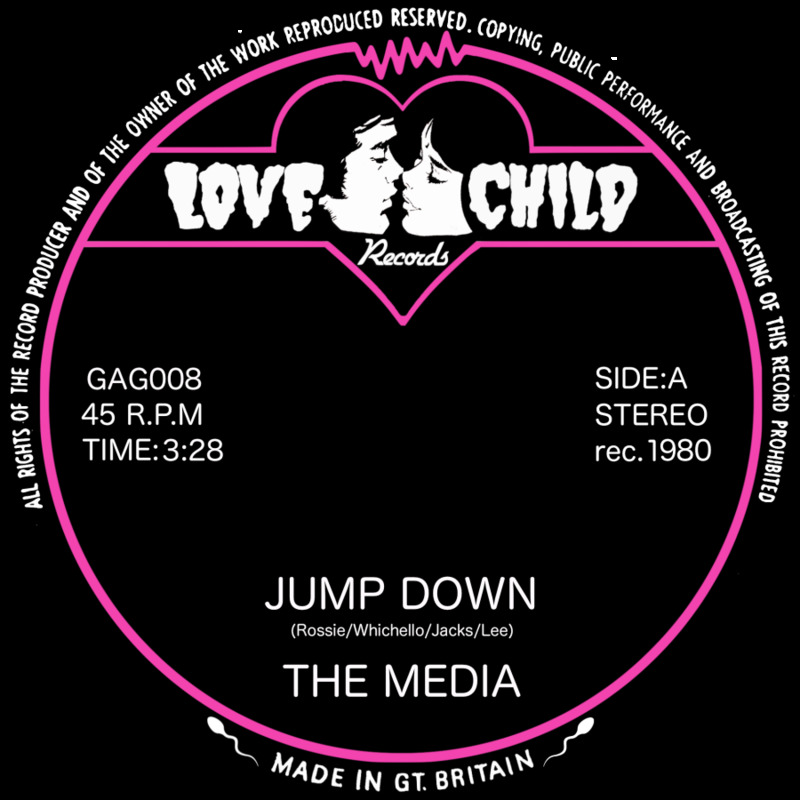 Their debut EP “No Darling I Love The Media” appeared in 1978 on their own Tearaway Records (Cherry Red Records distributed it). It featured live favourites T.V. Kids, Don’t Sit Back, Getting High and Rose and Crown. It was a bit good and sold out. A second single, Southcoast City Rockers and Back On The Beach came out the following year on the Portsmouth collective Brain Booster Records, again it sold out. A video was shot for Southcoast City Rockers, heady stuff at a time when very few bands recorded videos. The single showed the band moving on musically, taking in elements of the UK’s emerging Ska scene (led by The Specials’ Two Tone label) and the Mod revival inspired by The Jam (they secured support slots with The Vapours and Secret Affair). On the back of the money they were paid for the Going Out TV series (The Media’s scene featured a packed gig, with a young Peter-Hugo Daly careering around causing mayhem) the band went in the studio with the aim of recording songs for an album - 9 songs were completed. But, trouble at one of their support slots (let’s be honest, there was loads of bother at shows in the late 1970s / early 1980s) led to the cancellation of a series of gigs, including a prominent London show, and the band split in 1981. Fast forward 37 years and the master tapes from that album session were found by a band member in their loft. On the advice of Acid Attack’s Dave Clarke the tape is sent to Paul Orwell at Love Child Records, who in turn played it to Adam Cooper of parent company Heavy Soul Records, both of these uber music fans gave it a massive thumbs up. 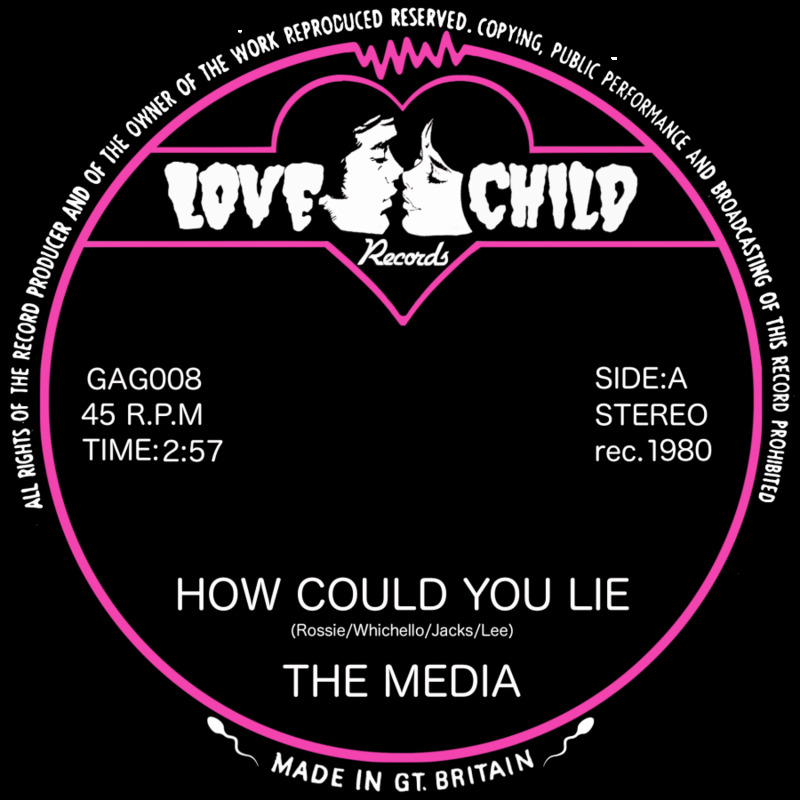 Love Child Records set about restoring the 9 track tapes and transferring them to files. Talk immediately turned to releasing a single and album ... and then a possible reunion show. 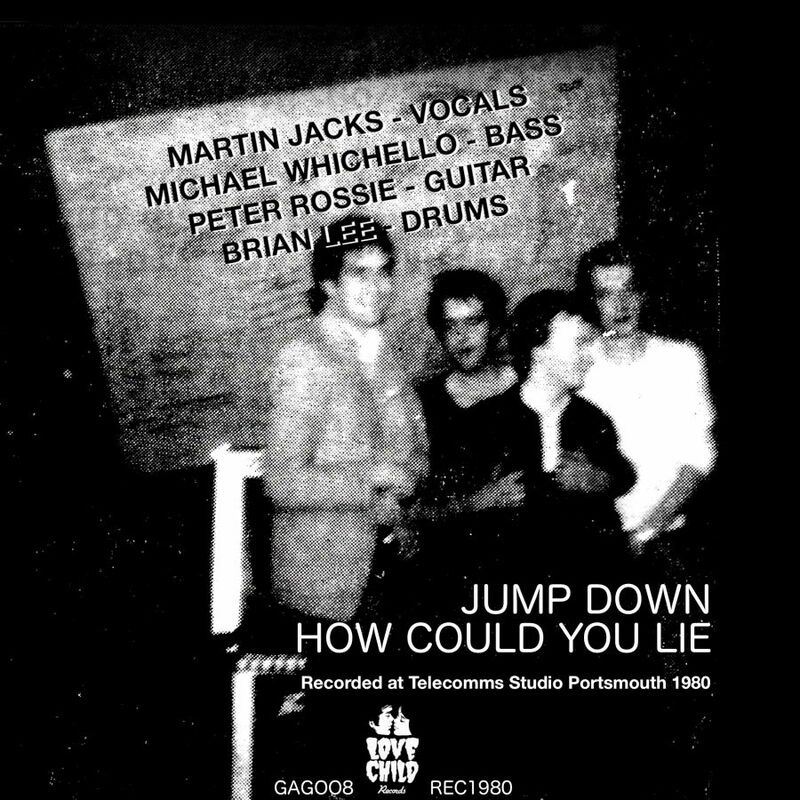 The first 7” vinyl single from this session, “Jump Down”/ ”How Could You Lie”, is to be released in April 2019, 40 years after release of 1st Media EP! Due to pre-orders for the single alone a 16 track album, “Bright New Futur”e, is also scheduled for release in the summer of 2019 (with all 9 songs from the album sessions, each of the 4 songs from the original EP and both sides of the second single, along with one another unearthed recording).